Walk into any nutrition department of a supermarket and you’ll see an overwhelming array of supplements lined up. They may all have weird names, and all promising to be a miracle breakthrough for something. Ever heard of Biotin, Selenium or Hawthorn? What do they even do? And do you need to spend hundreds of dollars each month on supplements if you have a good diet? To help break through the confusion, we created our own list of Top 10 Essential Supplements that Every Woman Needs. Editor’s Note: This article assumes that the person reading this article is generally healthy, not currently pregnant, and has no known deficiencies in the areas mentioned. This article is not offering medical advice, and as always, if you have questions or need more information, please consult with your physician. Why It’s Important: Iron is essential. Iron delivers oxygen to the body, helps to keep your immune system healthy and plays a strong role in your energy levels. It also helps to improve exercise performance. The average woman needs about 10 – 15 mg of iron per day. According to The American Dietetic Association’s Complete Food & Nutrition Guide, a 3.5-ounce chicken breast will satisfy about 4 percent of this daily requirement. How to Get It: The best way to supplement for iron if you’re not pregnant is to consume a balanced diet that consists of meat proteins, which contain the highest concentration of iron. 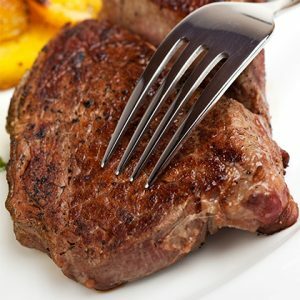 The best source of iron is in red meat, but red meat tends to also be higher in fat. Consuming small, frequent mini meals with meat proteins built in should sustain your requirement of 18 milligrams (mg) of iron per day. Most people only absorb about 10 percent of the iron they consume, however doctors caution against consuming more than 45 mg of iron per day because of its possible toxicity. Other food sources containing iron include oatmeal, lentils, kidney beans, leafy greens, poultry, fish, whole grains and dried fruit (but watch the sugars in those). If you’re not much of a meat eater and tend to consume plant-based proteins, you could be deficient and may need to try a general women’s multi-vitamin, which can range from 6 mg to 18 mg.
Why It’s Important: According to WebMD, women start to lose bone density at around age 30 when less bone mass is being created and bone resorption begins and exceeds new bone formation, so consuming adequate amounts of calcium (and Vitamin D for absorption) is critical. 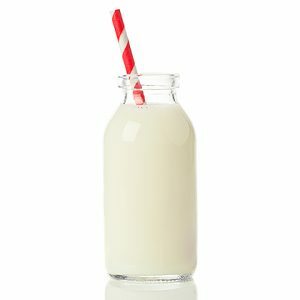 How to Get It:Calcium is found in dairy products (milk, cheese and yogurt), dark leafy green vegetables and some fish. According to the National Institutes of Health and the National Library of Medicine, women ages 19 – 50, including those who may be pregnant, should consume about 1,000 mg per day. Calcium is easy to find in supplement form, but make sure to seek out a brand that contains Vitamin D3, which is critical for the body to absorb calcium. Why It’s Important: Folic acid, also known as Folate, is a B vitamin and necessary to make healthy new cells in the body. According to the U.S. Department of Health and Human Services, it’s also needed to keep your blood healthy, and many experts believe it plays a role in heart health and preventing cell changes that lead to cancer. Although it’s called folic acid, Folate is the natural version found in foods. Folic acid is the man-made version in supplements and added to foods. Women who are not pregnant should take a supplement containing at least 400 mcg of folic acid per day, because it’s difficult to get enough folic acid in food alone. How to Get It: Folate occurs naturally in green leafy vegetables, some fruits, dried peas and beans. Most multivitamins contain Folate or folic acid (the synthetic form of Folate), but the amounts are not sufficient for pregnancy, which is why prenatal vitamins have a higher concentration of it. 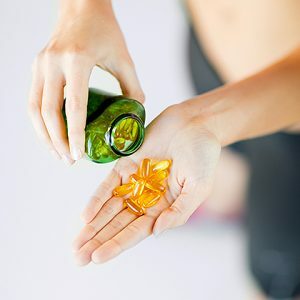 Why It’s Important: Fish oil is rich in beneficial omega-3 fatty acids and contains both eicosapentaenoic acid (EPA) and docosahexaenoic acid (DHA). EPA is an omega-3 fatty acid that scientists believe reduces symptoms of depression, lowers the risk of heart disease and helps reduce chronic inflammation. DHA promotes proper brain function, including mood and concentration, but it also helps to prevent and treat depression. Fish oil is used for a wide range of conditions. It is most often used for conditions related to the heart and blood system. 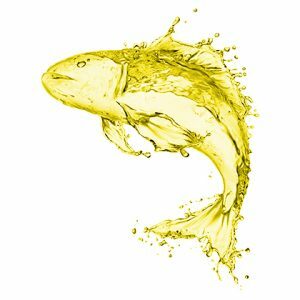 Scientific evidence suggests that fish oil really does lower high triglycerides, and it also seems to help prevent heart disease and stroke when taken in the recommended amounts. Additional benefits of taking fish oil may include helping with psychosis, attention deficit-hyperactivity disorder (ADHD), Alzheimer’s disease and other brain disorders. How to Get It: EPA can be found in fatty fish (such as salmon and tuna), nuts, beans, leafy green vegetables. DHA is also found in cold water fatty fish (salmon, cod, barramundi). DHA is critical during pregnancy and the early development of the nervous system and visual abilities during the first six months of life. Fish that are especially rich in the beneficial oils known as omega-3 fatty acids include mackerel, tuna, salmon, sturgeon, mullet, bluefish, anchovy, sardines, herring, trout, and menhaden. They provide about 1 gram of omega-3 fatty acids in about 3.5 ounces of fish. Why Important: Probiotics are live bacteria and yeasts that are good for your health, especially your digestive system. For “germaphobes,” this could take some getting used to, but the right bacteria can actually be beneficial in your body. The key is to have more “good guys” than “bad buys.” We usually think of bacteria as something that causes diseases. But your body is full of bacteria, both good and bad and scientists say it contains more than 100 trillion good bacteria. Probiotics are often called “good” or “helpful” bacteria because they help keep your gut healthy. When you lose “good” bacteria in your body (like after completing an antibiotic), probiotics can help replace them. They can lower the amount of “bad” bacteria in your system that can cause infections or other problems. And they can help keep a healthy balance of your “good” and “bad” bacteria to keep your body working properly. How to Get It: Probiotics are naturally found in your body. You can also find them in some foods and supplements. Dairy, such as milk and yogurt often contain probiotics, but the key is to find a brand that says, “live and active cultures” because live bacterial often die in the processing of foods. 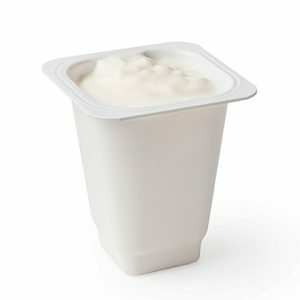 The strains in most yogurt brands are beneficial, but again, look for the label that says “live and active cultures.” Kefir contains even more strains than yogurt. These healthy bacteria – or probiotics – are at the heart of Jamie Eason’s Lean Body® for Her Skinny Bugs Probiotic Formula. Why It’s Important: Vitamin B12 is needed for the proper function and development of the brain, nerves, blood cells and other parts of the body. Deficiencies of this important vitamin can lead to anemia and memory loss. 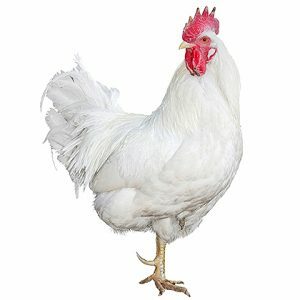 It’s also used to treat Vitamin B12-Deficiency, usually found in older people. The vitamin has many benefits, including boosting mood, energy, concentration, treating heart disease and reducing heart disease risk, sleep disorders, and several mental disorders. How to Get It: Vitamin B12 is found naturally in foods, such as meats, poultry and dairy. It can also be made into supplemental form. 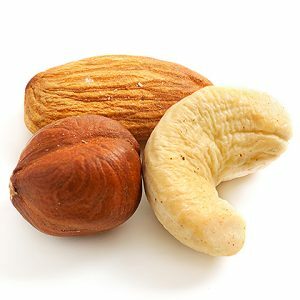 Why It’s Important: Biotin is an important component of enzymes in the body that break down certain substances like fats, carbohydrates, and others. It helps the body to metabolize sugar and use it for energy, rather than fat, and plays a key role in the metabolic system. It helps to use fats to keep skin healthy. How to Get It: Developing a biotin deficiency is rare because it’s found in many of the foods we eat, such as nuts, Swiss chard, and carrots. Why It’s Important: Magnesium is a mineral with a big job. It is involved in biochemical reactions that help keep our bones strong, steady heart rhythm and is critical to helping the nervous system function smoothly. In addition to helping maintain normal muscle and nerve function, magnesium also helps to regular blood sugar levels, healthy blood pressure and helps us to reduce our stress levels by “turning off” the fight or flight response. It also helps reduce cramps, headaches and migraines. 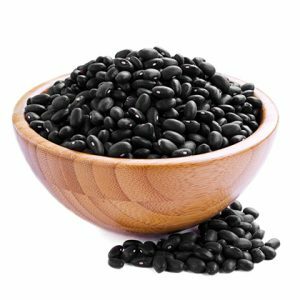 How to Get It: Magnesium is pretty available in our foods and can be found in pumpkin seeds, spinach, black beans, soybeans, Lima beans and many other sources. Why It’s Important: The best known benefit of vitamin D is its role in helping calcium build (and keep) strong bones. But it does so much more. Vitamin D helps regulate the immune system and the neuromuscular system and plays major roles in the life cycle of human cells. Scientists have uncovered up to 2,000 different genes—roughly one-sixth of the human genome—that are regulated by the nutrient. That means almost everything your body does relies on it. How to Get It: Vitamin D is missing from the food sources we eat, which is why more than 77% percent of Americans are deficient, according to the Archives of Internal Medicine (sourced via Women’s Health Magazine). Vitamin D is the exception to the rule “food first,” because the easiest, simplest and least expensive way to get it is in supplement form. Just be sure to read your labels carefully and it should say, “D3” on the product because this is the closest form we make in our bodies. Vitamin A: Why It’s Important – The most common known benefit of Vitamin A is to maintain healthy vision, particularly night vision. This is done by maintaining the cornea and epithelial cells of the eyes. For instance, when you go from a well lit room to a dark room, vitamin A helps you to adjust to the darkness. But it also helps the cognitive and immune function and makes sure certain vital organs, such as the heart, kidneys and lungs, work. How to Get It: Foods like sweet potato, red pepper, watermelon, eggs, chicken liver, carrots, spinach, papaya, apricot, mango, peas and oatmeal are rich with Vitamin A.
Vitamin E: Why It’s Important – Vitamin E is an important vitamin and antioxidant required for the proper function of many organs in the body. It helps to slow down processes that damage cells. Vitamin E is used in the prevention and treatment of many diseases, including heart disease, high blood pressure, diabetes and many forms of cancer, among other neurological and nervous system diseases. How to Get It: This vitamin can be found in many foods including vegetable oils, cereals, meat, poultry, eggs, fruits, vegetables, and wheat germ oil. Other food sources include sunflower seeds, almonds, hazelnuts, peanut butter and spinach. Vitamin K: Why It’s Important – Vitamin K plays a major role in blood clotting – without it we would bleed to death with a simple cut. It is used to prevent and treat osteoporosis, and lower total cholesterol for people on dialysis. It also helps to maintain good bone health, to reduce the risk of osteoporosis, and aids in kidney metabolism. Among other functions, Vitamin K is also applied to the skin to remove spider veins, bruises and scars and used topically to treat rosacea, a skin condition that causes redness on the face and helps to speed up skin healing and bruising. How to Get It: Food sources for Vitamin K include leafy greens (kale, spinach, collard greens, Swiss chard), broccoli and Brussels sprouts. Did you notice the absence of a general multivitamin? 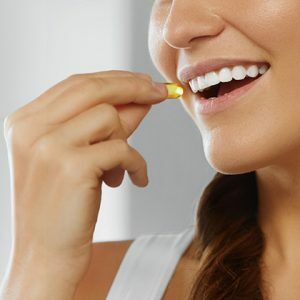 We did the research and the jury is still out on whether or not those who have a good diet even benefit from a multivitamin, but the science is clear there are certain “nutrient superstars” that do have known benefits if taken properly. Most experts still say “food first,” assuming a diet rich in variety will cover most of these vitamins and nutrients in the Top 10. But if your diet isn’t broad enough to cover all them, a good place to start your supplementation program is with your known deficient areas. To help fill in those nutritional gaps, check out Jamie Eason’s All-Natural Food-based multivitamin. Don’t Let Age Define You. Stay Fit for Life!